To support PMC's Emergency Management program (EMP) and Emergency Response Plans (ERP), training occurs on a regular basis to make sure employees and responders are capable and competent to respond to an incident or emergency. Any company personnel who may be asked to respond to a PMC incident or emergency is trained and familiar with their responsibilities in the ERP and EMP. Training occurs on a regular basis to make sure responders are capable and competent to respond to an incident or emergency. Through our training program, there are several different streams of training that personnel go through – which depend on the role(s) they may be asked to fill during an emergency. After receiving training, personnel are required to demonstrate competency through live training exercises. Continuous Improvement is a core part of any successful program. 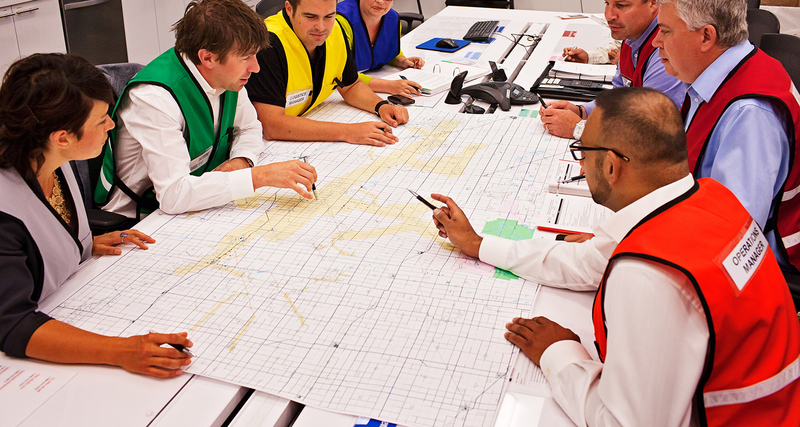 We routinely test our employees’ emergency preparedness through regulated full-scale and table-top exercises, which allow us to practice and assess our preparedness in a safe and controlled setting. These regulated full-scale exercises are mandatory for each ERP every three years with table-top exercises held annually. Full-scale exercises are opportunities for us to practice the procedures outlined in our ERPs and identify areas for improvement. These exercises are also an opportunity for us to work closely with local first responders, local authorities, indigenous communities, and other stakeholders. Regulatory officials representing the jurisdictions in which we operate participate in our exercises and evaluate PMC responders on their response efforts. These training exercises allow PMC employees the opportunity to learn from emergency response professionals with a wide range of experience. PMC also practices Unified Command with authorities and regulators multiple times per year during exercises. After an emergency exercise is completed, participants discuss what went well and areas for improvement. These “lessons learned” then become items which we use to improve our emergency response efforts and minimize potential impacts to the environment, the communities in which we operate, and our customers. To gain a better understanding of how regulators evaluate emergency exercises, PMC’s Prairie Pipeline exercise evaluation can be found on the NEB website. If you are interested in learning more about ICS and becoming certified in ICS 100, please go to the Alberta Public Safety Training website to take the 3-hour self-guided online course.